With the New Year approaching, it seems that weight loss advice is pouring in from all directions. I suppose it is only natural for talk shows and television programs to focus on this subject, along with countless articles on the Internet. Weight-loss has always been, and still is, one of the most popular New Year’s Resolutions. There is just one problem with this endless stream of weight-loss advice: it’s given by those who don’t understand. Please allow me to elaborate. I feel that it’s pretty easy to give an opinion or offer a recommendation on how to lose-weight, it’s done all the time. The individuals that give this well-meaning advice are doing so because they care and truly want to help the person who is struggling with weight issues. But (here is the one problem that I’m referring to) the advice is given and expected to be followed with ease by people who have not lived in the other person’s shoes. Sometimes it works, but unfortunately more often it does not. If it did, then weight loss would not be a top ten New Year’s Resolutions year after year. Frankly, if losing weight was made up of only that one simple element, then obesity would not exist in this country. Nonetheless it does. Fortunately, I learned from my past. After making a New Year’s Resolution to lose weight every year since 1976 and never accomplishing a successful weight loss, it became apparent to me that certain kinds of advice just did not work. Believe me, I wished it would have. Yet now that I look back and recall some of the advice, I can understand why. Then there was the advice from women who looked like the epitome of good health, and had never, ever been overweight in their lives. Giving advice to me on how to look like them was well-meaning; each one strived to help others be healthy, which was sweet. But again, the advice was being given by those who don’t understand. It’s not their fault. It is just how it is. What I learned was that listening to advice from those well-meaning individuals was not compiled from personal experience. I needed to take advice from another morbidly obese person who understood and found the ability to lose their excess weight, but that person was nowhere to be found. My need included someone who didn’t just give advice on losing weight, but lived it – ALL aspects of it. I understand because I experienced it. I was overweight at the age of ten which resulted in my becoming obese and subsequently, morbidly obese. My advice on how to lose weight successfully is given because I actually lived it, the advice I share is not just something I read about on the Internet or heard through the media. I actually lived it. I look forward to continuing to share with you how I lost over 160 pounds without surgery, pills, diets, expensive equipment or extreme exercise. Let me give you the advice you have been searching for – I want to help you achieve your New Year’s Resolution to lose weight, and KEEP IT OFF as well! thanks for sharing this information….it is my great pleasure to visit your website ….it is very interesting, You’re an overly professional blogger. and i enjoy your excellent post here. god bless you!!! I appreciate the lovely compliment pertaining to my most recent blog post. Your words truly mean the world to me as I strive to motivate others to live a healthier lifestyle. It appears that you have the same goals … awesome! Yes, there are many low-impact forms of exercise that provide the daily recommended amount of physical activity; swimming is one of them as you mentioned. Thank you for visiting the website, and please remember that your comments will always be welcome! 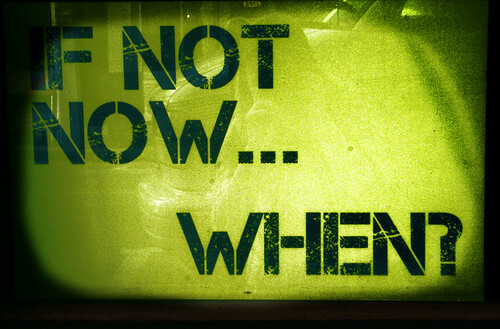 Hate to wait when wanting to lose weight, declaring “I want it now!” You’re not alone.